With the wide range of blood pressure instruments for professional use as well as for home care, boso is in the unique position to transfer know-how in these fields. 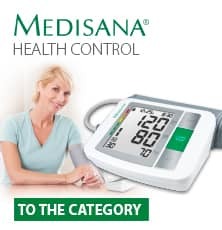 Moreover the recommendations from doctors help to enhance the blood pressure measurement at home. blood pressure instruments of BOSCH + SOHN. medicus family, boso-medicus uno, boso-medicus smart and boso-medilife S.